Home » Uncategories » Announcing A New Look and Better Mobile Usability for Slow Cooker from Scratch! Announcing A New Look and Better Mobile Usability for Slow Cooker from Scratch! Slow Cooker from Scratch has a shiny new look! Most people who are regular readers of this blog probably know that I also have a site called Slow Cooker from Scratch, where I feature healthier slow cooker recipes from food bloggers. Yesterday I announced a new-and-improved version of that site, designed to be more mobile-friendly for the nearly 45% of readers who visit the site on a phone. 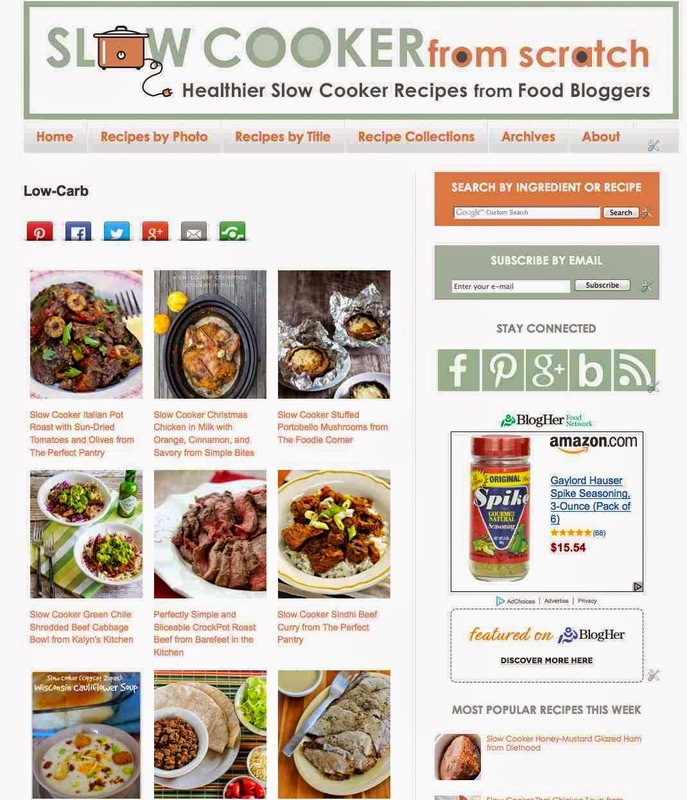 The feature I'm most excited about for the slow cooker site is the new Recipes by Photo feature where readers can sort recipes by categories and load a page of thumbnail photos for that category. In the photo above you see the category for Low-Carb. There are also categories for other diet choices like SBD Phase 1, Paleo, Gluten-Free, Vegetarian, Vegan or WW Points. You'll also find categories for recipe types like Cook All Day, Five Ingredients or Less and Soup or Stew, as well as ingredient categories like Chicken or Beef.